Anybody Got Tamiya Medals Like These? Anybody like to own Tamiya Medals like these? Did you win these WinnerTrack?, I guess you did, but it would be nice to know the history. Edit2Add: Actually he does ask if anyone would like to own medals like these so maybe they are for sale? 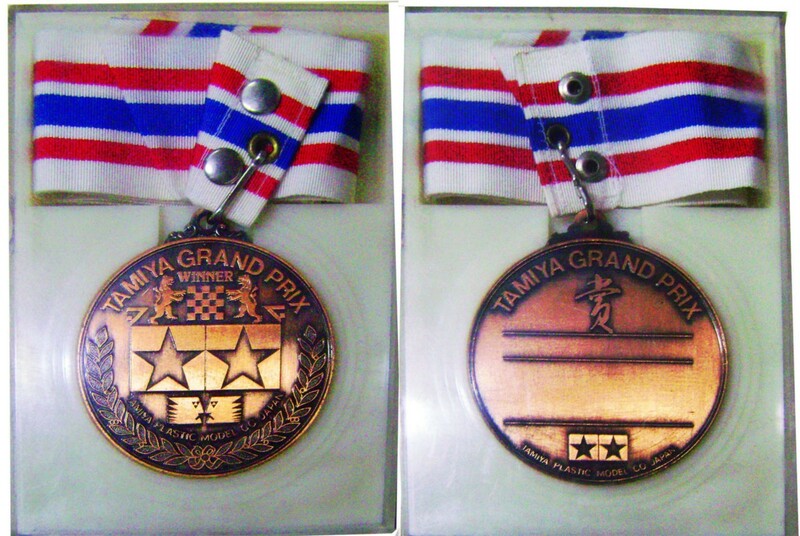 Actually this were won by my friend when he competed in Taiwan in 1992. Only a few of these are found in the web. The photos you google are mostly these two medals I published in other websites. These are all over Japan,usally they have the date and class on the back.Shops bought them to use for races. Now Tamiya gives out stickers to everybody. Much better for RC guys as we stick them on our tool boxes. So that mean he is not sitting on a gold mine. Too bad. Is there a link to show that these are for sale in Japan, we've got to see them...there's none even in google. 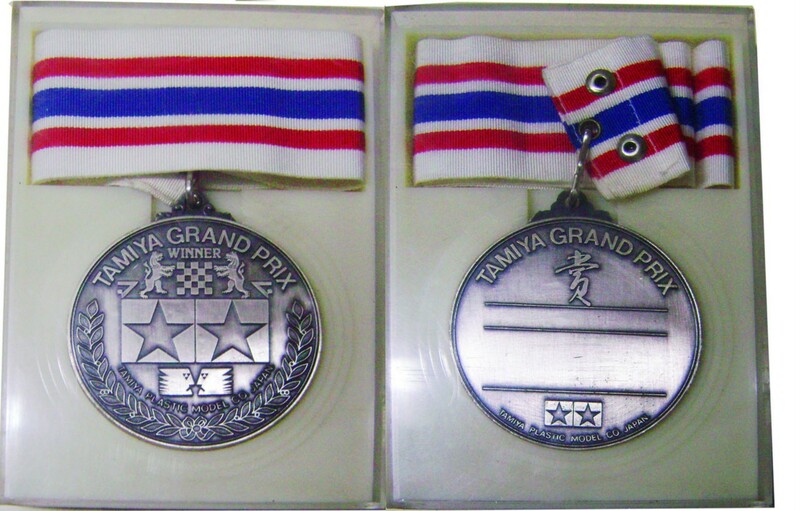 Many Years ago, I even contacted the Official Tamiya website in Japan, as to where I could find these medals, and their reply in their email was that they did not where they they could get the supply from these items. This means that these were the first original casted by Tamiya tournament organizers. As for me, the Provenance was this was won by my friend who raced in Taiwan. This is absolute what I know. The current TCS rules on Tamiya USA's web site indicate medals are handed out for the top three finishers in each A-main. "1. Prizes and awards are given to the top 3 in the “A”-Main of each class. (Gold, Silver and Bronze Medals)"
This is found at the bottom of http://www.tamiyausa.com/tcs/rules.php. I would think medals like these are mostly valuable to people who actually win races. There might be collector out there who wants one as a novelty, but for me personally I don't want someone else's trophy. "1. Prizes and awards are given to the top 3 in the "A"-Main of each class. (Gold, Silver and Bronze Medals)"
+1 . nor me . Man bromvw we think alike! Look at the time stamp on our posts! thank you for your post speedy_w_beans, this information is very enlightening. I think I still have one of these somewhere but only a bronze. I think I must have won it at a UK Eurocup final in the early nineties. I also have a smaller medal that was handed out to all competitors at the 2007 World Finals along with a gold addonised ball joint holder and camber guage. Tamiya are great at given out unique special items to their racers at events. I was wondering what his name is? They don;t write the champs name on the back of these? Deffinitly look form the 1980s. "gold addonised ball joint holder" sounds very cool! Search Tamiya gran prix in Japanese on Yahoo Japan,that a good start. 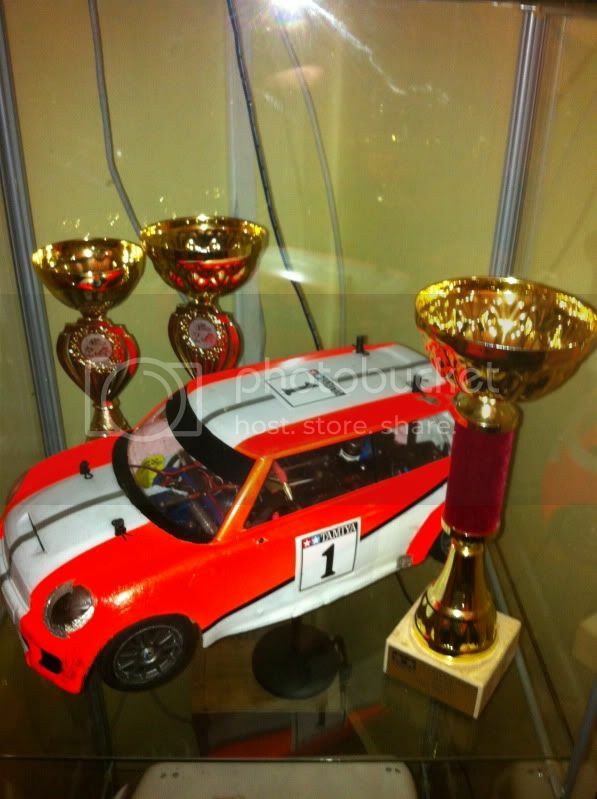 would anyone like trophies like these? ...well go out and have fun and practice and race !